I think of you often these days, Derek! You are part of my two of most favorite memories–our trip to Germany and our trip to India! You, Betsy and I–both trips. I hope and pray you are well, Derek. Happy birthday, guy! Shuhan has beautifully expressed what so many of us feel – we love you and miss you terribly. Whatever you felt you had to do hasn’t changed our love for you, and we so desperately want to know that you are safe. Grandma, Grandpa, Daniel and Briana are here this weekend – along with Evan and Snezana, Elyse, and Ethan – we are celebrating the day you were born. We had the photo albums out today, looking at the smiling little boy with the curls, and the strong, handsome man you grew to be. I miss your wisdom, your perspective, your warm presence. I miss hearing about your day… I miss talking with you… I miss the facetime from the beaches… I miss getting to hug you now and then… I love you… I wish I could have been there for you. What a wonderful birthday wish to a wonderful person. I am Derek’s stepmother and I had the privilege of watching Derek grow up. I watched him grow from an awkward little boy into an amazing, intelligent, kind, talented, loving man. I too miss him every day. Not a day goes by that I don’t think of him or look for him in a crowd or check his Facebook page to see if he made an entry. I only hope and pray that wherever he is he has found his peace. He is lucky to have good friends such as you and I am sure he knows it. I believe in my heart that we will see him again soon and I pray to God to help him find his way home. 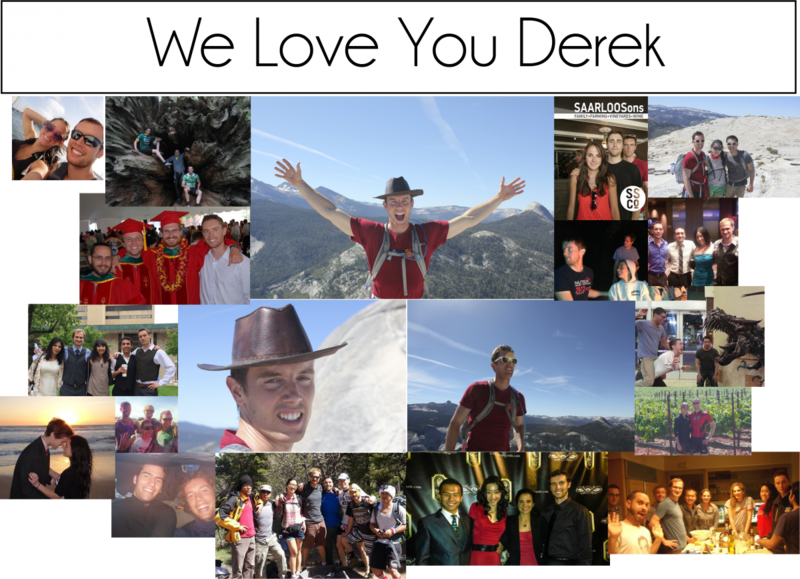 Have a wonderful Thanksgiving and please keep praying for Derek.